The outdoor National League 1 competition comes out of winter hibernation to enter its second phase with each side to play seven more games in the league programme before the European play-offs between the clubs finishing in the top four. 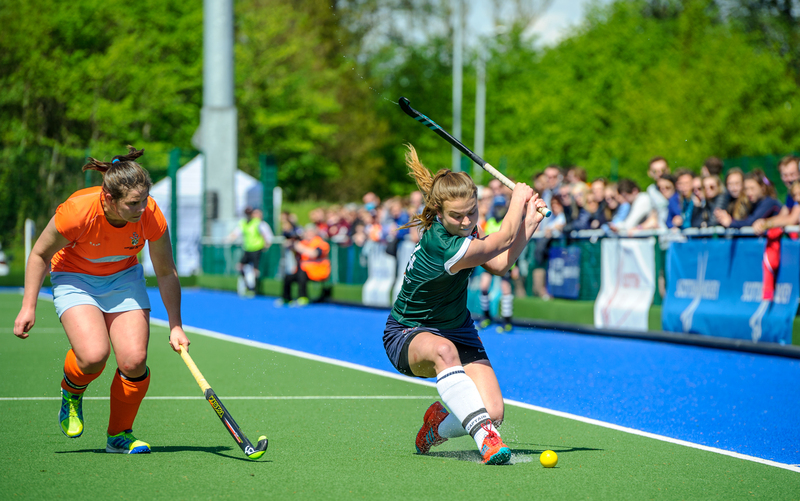 The women`s competition could not be closer at the top, Clydesdale Western and Edinburgh University share the same points and goal difference, the Glaswegians have their noses in front by the narrow margin of four goals. With the former on European indoor duty, the Edinburgh students have the chance to take over at the top, but only if they can get the better of third placed Wildcats at Peffermill. The champions won the Auchenhowie encounter, which will be a source of encouragement to coach Sam Judge, but only by an Ella Watt goal in the end. At the moment the race for the coveted fourth place is between Dundee Wanderers and Watsonians, and ironically they meet head-to-head on Tayside. Wanderers have the advantage of four points as it stands, a Watsonians` victory would close the gap to just one. On the other hand a Wanderers` victory and defeat for Wildcats could propel the Taysiders into third spot. The earlier league encounter perhaps revealed that there is little to choose between the sides with a 1-1 draw; Nikki Stobie opened for the Edinburgh side in the first half, but Charlotte Watson levelled for the Taysiders with six minutes left. Elsewhere, the sides in the lower reaches of the table battle it out for points; Hillhead entertain GHK in a Glasgow derby while Glasgow University will hope to improve their position with a home win over a Grange side with only a single point in the bag. Meanwhile, Clydesdale Western are still in indoor mode – they travel to Vienna for the European Trophy competition after winning last season`s domestic title. The Glasgow side face a tough initial pool competition against HAHK Mladost (Croatia) and SK Slavia Prague (Czech Republic) on Friday and then HF Lorenzoni Bra (Italy) the following day. A top two finish in the pool competition would see Western enter the promotion pool for the final part of the tournament, otherwise they will have to strive to avoid relegation. The omens look fairly promising, while they lost the domestic crown to Dundee Wanderers, Western had a good season finishing in the runners-up spot. Three sides seem to be dominating men`s National League 1, Grange lead by four points from Western Wildcats who are in turn a point ahead of Grove Menzieshill, Hillhead sit fourth but nine points adrift. On paper Grange`s visit to seventh placed Uddingston might be a confident one, but recently the Lanarkshire side has acquired the reputation of scuppering the aspirations of title challengers with high-scoring draws. That is exactly what happened when the sides met at Fettes in October, the unbeaten champions were held to a 3-3 draw when Uddingston`s Jacky Tran equalised from a penalty corner in the second half. If Grange are to take the three points this time they will have to put the shackles on Bothwell Policies striker Brad Hughes, the Aussie has scored no fewer than 20 goals in the eleven games so far this season. But the champions have lethal strikers of their own, principally Dylan Bean and Frank Ryan ably supported by Duncan Riddell, Jacob Tweedie and Todd Mills. Western Wildcats have a tough assignment away to Edinburgh University, and coach Harry Dunlop will remember that it was the same students who inflicted a 2-1 defeat at Auchenhowie earlier this season. David Mawhinney and Ian Moodie scored the second half winners for Edinburgh that day. However, since that reversal the Cats have purred their way to five consecutive victories which has taken them to second place in the table. Grove Menzieshill are the only one of the leaders at home, they entertain a Clydesdale side that have acquired an unpredictable reputation. At Titwood in October the visiting Taysiders left with a more than comfortable 4-0 win, Cameron Golden scoring a hat-trick with Albert Rowling getting the other. The mid-table is close – Hillhead, Clydesdale, Uddingston and Edinburgh University are within a single point of each other. Hillhead, who are currently fourth, entertain second bottom Kelburne. The Paisley side has had a challenging season, but with players like Iain Scholefield and Johnny Christie still in the ranks, they can never be discounted. And that was certainly the case when the sides had their first meeting, Kelburne won 4-2 with Christie scoring twice, Jack McKenzie and Peter Baldwin were also on target. Watsonians will seek to join this midfield logjam with an away win against a Gordonians side that have yet to acquire a point in the top flight.